Patch with full hook backing with text B-Styrka in black on military green bottom. 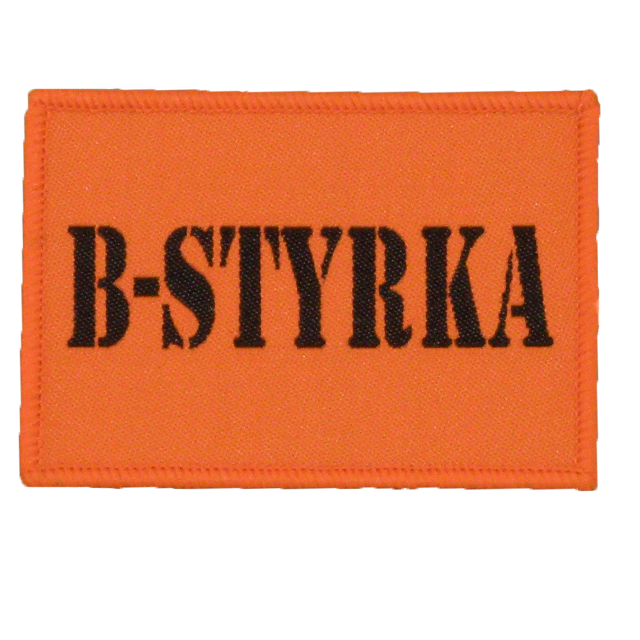 B-Styrka signifies the opposing force in Swedish military exercise. The patch can be used in exercise to mark friend from foe, carry on your gear or clothes. The black/green design makes it subdued and harder to spot on long distance.